In the current business scenario, the economic conditions of a company can be both challenging and favorable with respect to their concurrent approaches. It wouldn’t be wrong to say that today organizations are more or less striving to become smart, creative, forward and innovative. All they need is a thorough technical support and industrial expertise to go beyond the rigid measures of traditional work approaches. 1. Outsourcing solutions for financial functioning. 2. Advisory set up for accounting. 3. Advisory and liaison solutions for startup businesses. 4. Specialized solutions for financial bodies and institutions. Advisory services can help you in streamlining the dwindling state of profit intake of your business. They can improve the business structure, give you some ‘larger-than-life’ ideas and set your financial status in strategic order. It is not easy for businesses to match up with the business growth while hiring new employees. With divided focus in hiring, it is indeed a challenge! In such a situation, an advisory consulting can evaluate all the mistakes to ensure the consistent growth of business. As technology is evolving with each passing day, it is important for businesses to match the rapid changing pace. Advisory services can help you in understanding the best technological interface, conflict, and struggle that you might be facing. These services are best qualified to analyze potential solution. Most of the time, internal conflict is the main discord that can cripple your organization. 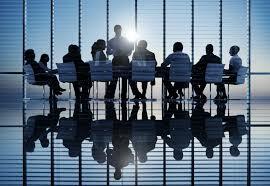 With the help of an advisory service, you can invite an unbiased opinion in your organization. Even the recruitment solutions offered by such advisory services are neutral for the best benefit of all. Same opinions and same decisions cannot bring the desired effect to your business! If you need a fresh perspective, you need something innovative to change the monotonous flow. Advisory services are there with you for a longer duration of time, bringing every bit of positive change to the business through an effective tunnel-vision mode and implementing careful planning.